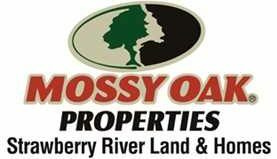 This property has 62 acre mol of mixed use recreational and hunting ground, mature timberland just east of Cave City, AR 72521,Independence County, tons of signs of turkey, whitetail deer ,small game ,rabbit and squirrel There are ATV trails cut thru property with a wonderful view on north side of property of adjoining farms. This property has easement problems making it not showable till easement issues have been worked out. There is an offer made before listing contingent on easements. If interested please call listing agent for more information about easement issues.